A Balance Bike is a durable bicycle without pedals to teach children how to ride a bicycle at an earlier age. Learning how to balance first will allow children to make an effortless switch to a bicycle. 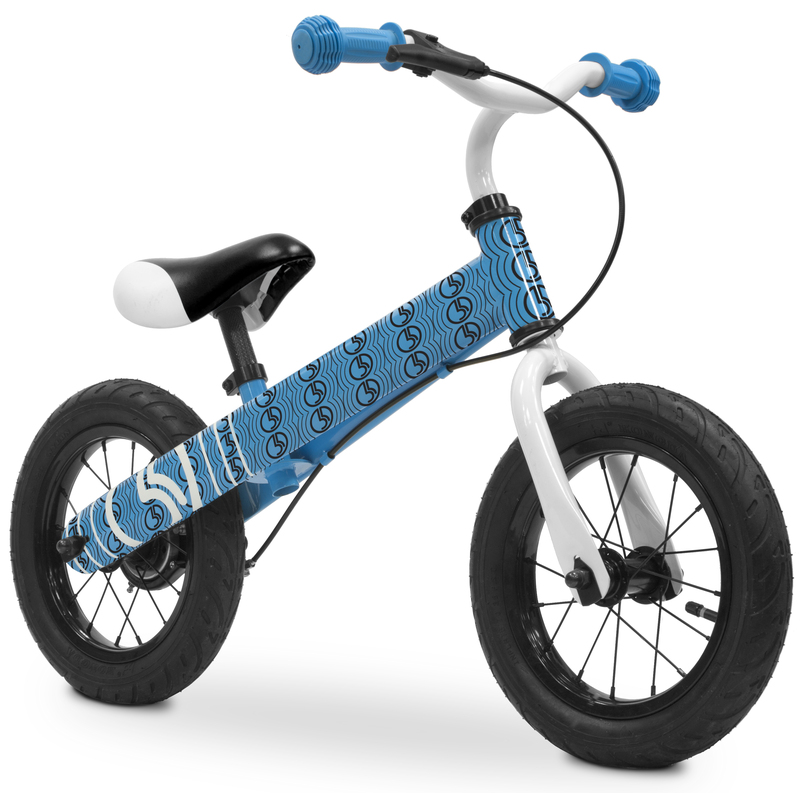 A Balance Bike is the perfect first bike for any child that is ready to start riding. Inflatable tires for more durability. Weight capacity of to 100 lbs. Balance Bikes teach children how to ride a bicycle at an earlier age because they learn to balance and counter-steer first and then pedal later. Training wheels slow the learning process because kids become too dependent on them, acquiring bad habits. Training wheels that prevent the bike from leaning also prevent counter-steering. 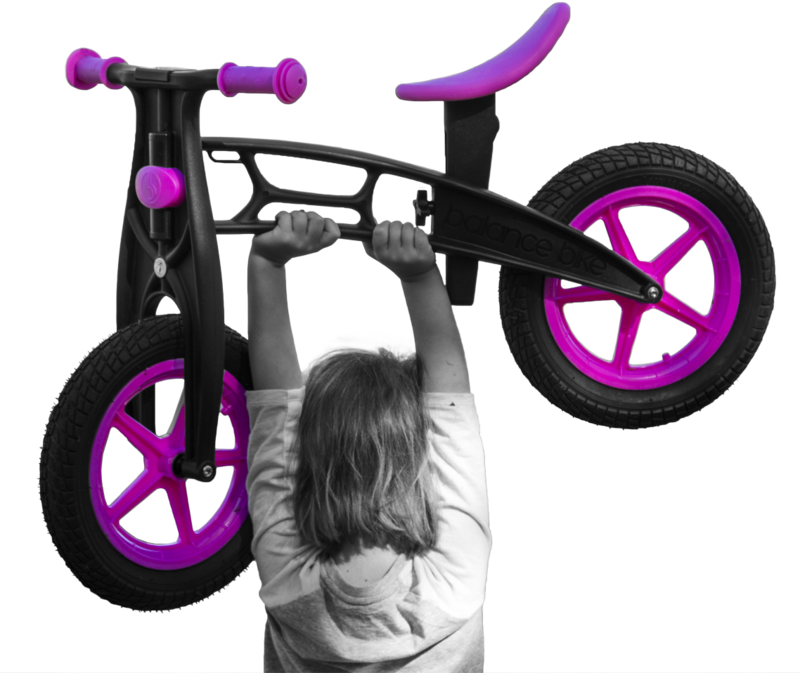 With balance bikes children use their feet to propel them and may provide a safer learning experience compared to training wheels and tricycles. Keep your children safe and help them learn good bicycling habits with their first bike.